Landlord-tenant law has been a major focus of Marin Law Center owner Greg Brockbank for most of his 26 years of legal practice, and he has provided advice and representation to hundreds of tenants and landlords. Our first consideration is always whether the landlord or tenant might not be able to handle the problem for him or herself. We may suggest that someone buy a Nolo Press self-help law book from our lobby and avoid attorney fees altogether. If an attorney's help is wanted, a client can make an appointment for a brief consultation, during which dozens of specific questions on a case can be answered. Often a telephone call or a letter to the opposing party can resolve an issue; sometimes a discussion of the strengths and weaknesses of the case and the pros and cons of various options is enough, and the attorney is not needed for any further action. If representation is needed, we can fill out the forms for a landlord to provide the notices required by law (e.g., a 3-Day, 30-Day, or 60-Day Notice), and then a complaint for an eviction (known as an unlawful detainer complaint, or "UD"). 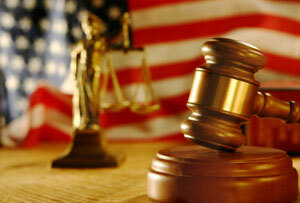 We can also assist tenants who want or need to contest an eviction with the appropriate forms. UNLAWFUL DETAINER COMPLAINT: Like most complaints these days, this is a multi-page, fill-in-the-blanks-and-check-the-boxes form approved by the Judicial Council of California. It lays out all the needed allegations, and usually a copy of the lease is attached to it, along with the required notice, and the proof of service of that notice. Other forms needed for this initial filing include a special Summons and a Civil Case Cover Sheet. ANSWER TO UNLAWFUL DETAINER COMPLAINT: The Answer is another similar form, in which the tenant responds to the allegations in the UD Complaint by listing the numbers of the paragraphs that the tenant claims are false. Unlike most complaints, which have a 30-day period in which to answer, a UD Complaint must be answered within five days in order to avoid having a default taken. Other defenses often listed include inhabitability of the premises, discrimination, and retaliation. REQUEST FOR A TRIAL DATE: Another difference from most lawsuits is that there is rarely any "discovery" (depositions, requests for documents, written answers to written questions, etc.) in an eviction lawsuit; a landlord's attorney usually requests a trial date immediately after the answer is filed, almost regardless of what the Answer says. And still another difference from most lawsuits is that a trial must be set within three weeks of the request, instead of the many months it takes in most lawsuits. DEFAULT FORMS: If the tenant fails to file an Answer within the five days, the landlord can file a Request for Entry of Default, which means the tenant is thereafter prohibited from filing any further response and the landlord automatically wins. The landlord's attorney also files a Judgment and a Writ of Execution (these two forms would also be needed after the trial if the tenant does answer the complaint, unless the tenant wins at trial). He also gives the Sheriff a letter of instructions, and a final Five-Day notice is then promptly posted on the tenant's door, at the end of which period the tenants are bodily removed by the Sheriff (if they haven't already vacated the premises, which they usually have) while the Landlord changes the locks. SETTLEMENT: Like most lawsuits, the vast majority of these cases are settled, usually with two major issues: when the tenant moves out, and how much money is paid (and when). Sometimes a landlord is primarily interested in getting the tenant out right away and is willing to waive some or all of the past due rent. In other cases, landlords want every penny of the rent due from the tenant, plus all their costs and attorney fees as well  although it is often hard to collect any money at all, even with a court judgment. FILING FEES AND ATTORNEY FEES: Fees to file both the UD Complaint and the Answer vary, depending on the amount of past due rent, but usually are $240. Attorney fees, from the initial consultation, to form preparation, to settlement negotiations, to court appearances, are $320 per hour, and while we do many 15-minute consultations, a full eviction or eviction defense usually ranges from two to four hours or more. You can call Marin Law Center at 472-4400 at any time to make an appointment, even on short notice, and we will discuss and analyze the specifics of your case in a brief consultation. We can also review documents, make a phone call or write a letter (if appropriate), and decide with you whether you need assistance in taking further steps.